Another phenomenal Bible Study Collection from Librainia (a Packard Technologies company). This collection is the ultimate encyclopedia on the Bible. 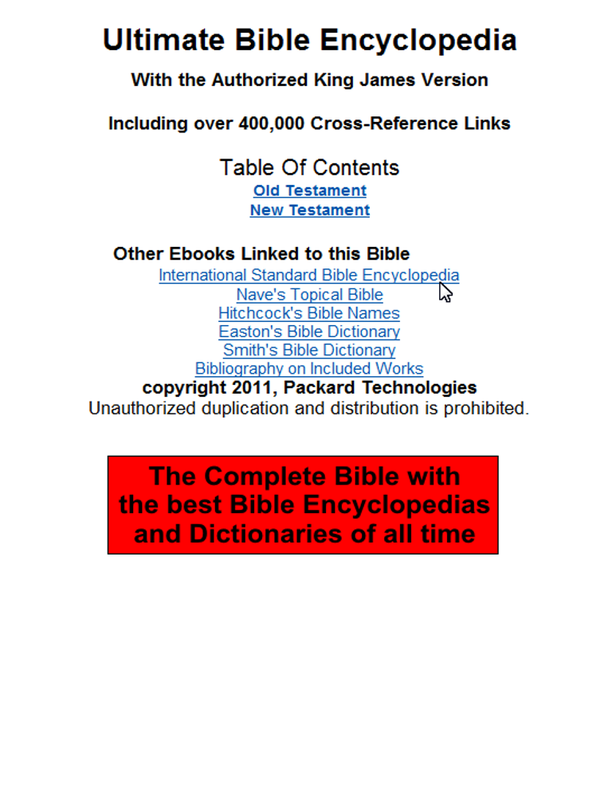 With over 400,000 links using some of the most popular reference works of all time, this eBook collection gives you information on virtually every word and topic of the Bible. 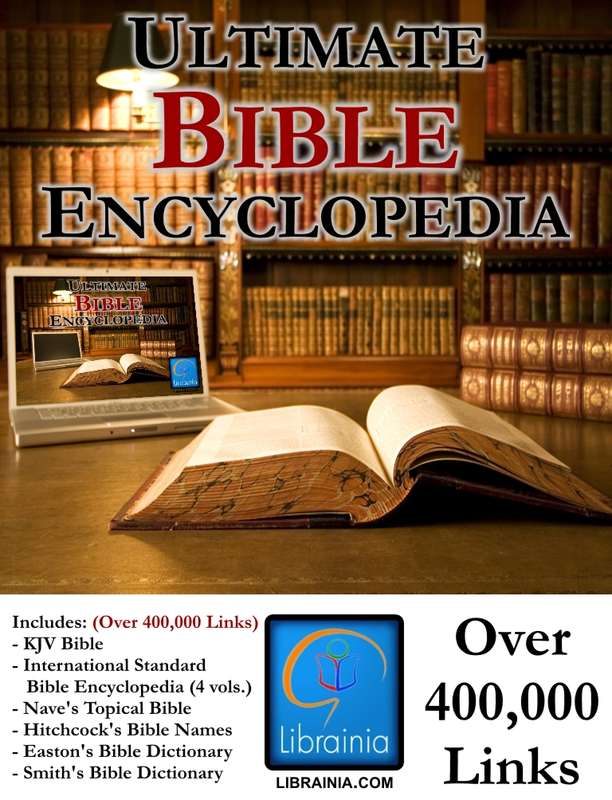 The Ultimate Bible Encyclopedia is an essential tool for your Bible study. No Kidding! This collection includes literally over 400,000 LINKS. The scriptures references in the encyclopedia, dictionaries and topical guide are linked back to the Bible.